Presumably, you have decided to read the many more pages from the book called world. 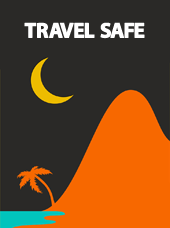 If you are on the lookout for a safe travelling experience to have an enjoyable journey, your search ends here. At NeetaBus, we give first priority to safe travelling. Our passengers are fully insured and we provide backup vehicle in case of emergency. We go that extra mile to provide van service for specific boarding points to ensure ultimate passenger comfort. Let’s confess- providing premium services lifts up our self esteem. Travel once with NeetaBus and you’ll always crave to travel with us. Click here for your bus booking and enjoy a safe trip!